The worst wreck, in terms of verifiable fatalities, on the North American west coast. 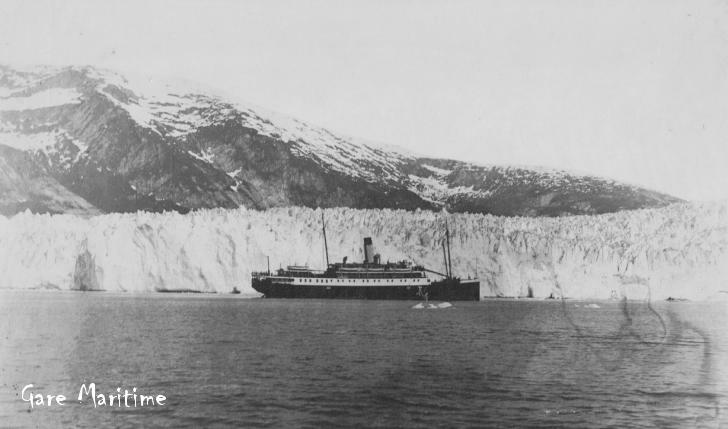 Canadian Pacific’s liner Princess Sophia is seen off Taku Glacier in this 1913 photograph. 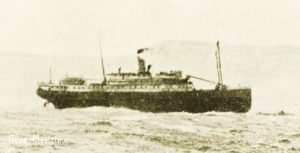 The Princess Sophia, a 245 foot long vessel of 2320 tons, holds the unenviable record of being the worst wreck, in terms of verifiable fatalities, on the North American west coast. Running at high speed in deteriorating weather, the liner grounded on Vanderbilt Reef, Lynn Canal, Alaska on the morning of October 24th, 1918. The 356 passengers and crew aboard the Princess Sophia found themselves doubly trapped: the ship sat so far up on the reef that at high tide virtually all of the boats would have been beaten to pieces had they been lowered, and at low tide there was not enough water over the reef to float them free. Would-be-rescue vessels arrived on the scene, but Captain Locke of the Sophia, in a decision still debated, opted not to attempt an evacuation early on in the stranding when, some would later claim, it might have been possible to offload at least some of those on board. The Princess Sophia seemed secure, sitting as she did on an even keel and supported for much of her length by the reef itself. During the evening of the 24th, her electricity failed but was eventually restored. 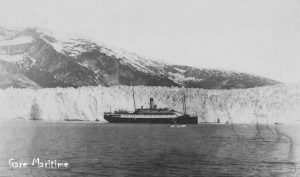 An Ohio family travelling to the Yukon in June 1916 took this view of the Princess Sophia’s port side. On several occasions on the 24th and 25th, activity was seen on deck by nearby observers that suggested those aboard the Sophia were about to abandon ship. Passengers and crew came out on deck, boats were swung out, but ultimately nothing was done. It is assumed that Captain Locke was waiting for the weather to moderate before commencing an evacuation, but on the afternoon of October 25th, it worsened and the rescue ships standing by had to seek shelter in high seas, in a near-zero visibility blizzard. At 4:50 on the afternoon of the 25th, David Robinson, the Sophia’s wireless man radioed “Ship foundering on reef. Come at once.” At 5:20 came the second message; ‘For Gods sake hurry, The water is coming in my room’ followed by an unintelligible transmission and then the final words received from the ship, ‘You talk to me so I know you are coming.’ Although the Cedar left shelter and sailed into the storm to locate the Sophia or her people, rescue was not possible and finally the effort had to be terminated. A postcard view, by Winter Pond Studio, showing the Princess Sophia stranded on Vanderbilt Reef, on her final morning. Travelling at full speed, she struck the reef with enough force to ground herself nearly full length and on an even keel. Note that there is little difference between this photo and the Taku Glacier shot: if not for the unusual height at which she sits out of the water, and the outcropping of reef visible ahead of her bow, there would be nothing amiss in this view and nothing to suggest that less than eight hours after it was taken all 356 of her passengers and crew would be dead. October 26th brought the break in the weather that those aboard the Princess Sophia had hoped for, but by then it was far too late. She was gone, as were all 356 who had been trapped aboard her. Her cargo mast still broke the surface, marking her final resting place, but of those lost there was no immediate sign. The previous afternoon, as the storm worsened, the combination of high wind and waves had caused the Princess Sophia to pivot on the reef, tearing her bottom out as she went, until only her bow remained on solid footing. She then ‘floated’ free and, to judge by the time elapsed between her first distress call at 4:50 and the time the watches found on most of the victims had stopped, 5:50, foundered relatively slowly. Divers later discovered that during the sinking her boiler had exploded, severely damaging her superstructure. 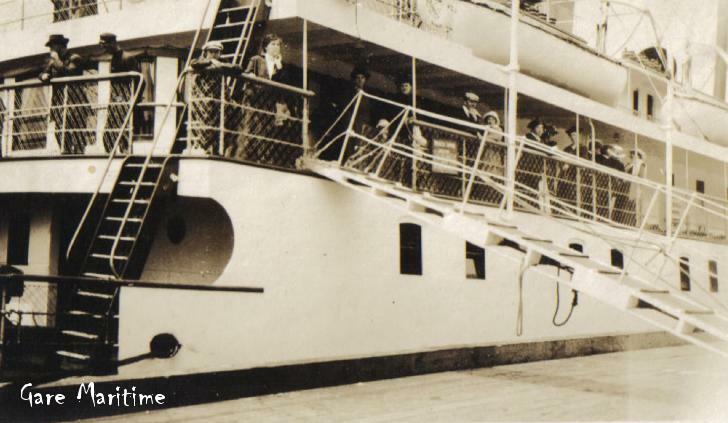 Close to 100 were trapped below decks as the ship sank (divers recovered perhaps 90 bodies from within her in a series of operations that ran through August 1919) but the remaining 250 or so who floated free died quickly of exposure or from the effects of ingesting fuel oil. 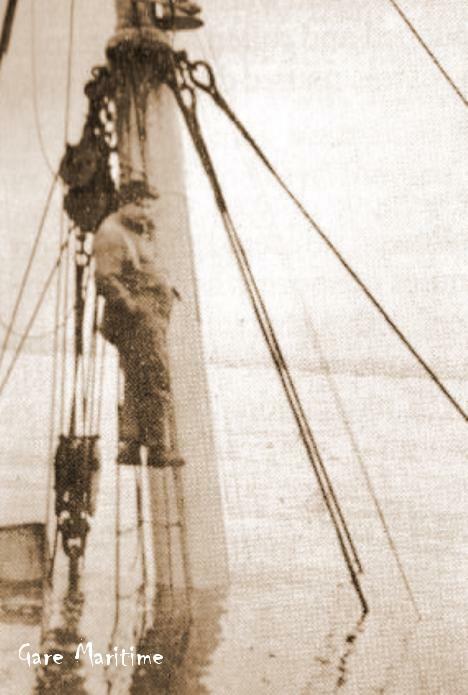 There is a chance that Second Officer Gosse made it to shore and died of exposure while waiting for rescuers to arrive, but 1918 accounts were contradictory and at this point, barring the discovery of new and conclusive evidence, it is impossible to give a conclusive ‘yes’ or ‘no’ to the question of Gosse’s brief survival. A 1919 postcard view, taken from either shore or Vanderbilt Reef (in an uncropped version of this photo, a rocky strip of land is visible in the lower left corner) which shows the Sophia wreck site soon after the disaster. The mast was not visible for long. 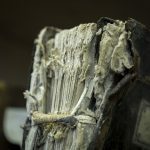 One version of the story says that it was toppled in a storm, while another says that CPR ordered it removed to eradicate the most visible reminder of the disaster. There are vague reports that an attempt was made to raise the liner in 1920, but if such was the case, the efforts were not successful. Commercially available video of the wreck site, and of the wreck itself, show that scars from 1918 are still visible on the surface of Vanderbilt Reef, and that the wreck, although badly deteriorated, still has recognizable and intact components.